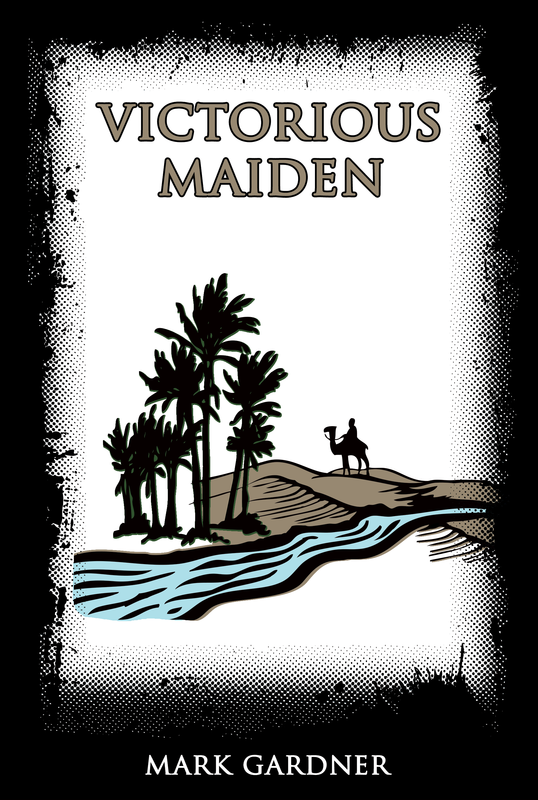 Another 500 words to Victorious Maiden written to Adan Ramie’s Word-A-Week prompt. I think I’ll write some more of it tomorrow. Octavius has spent the last month deep in prayer. He didn’t venture far from the stained glass depiction of Goddess Kanoni. In his venerated position as the leader of his religious order, no one would begrudge his time of contemplation and prayer. His obsession with Goddess Kanoni after the dismissal of Rashid, and the disturbing dreams that haunt him; he has become a recluse. At first, he tells his brothers in faith about the disturbing imagery, but as the nightmares became more frequent, he started to retreat from those he considered more than friends. “I’m worried about Brother Octavius,” Bacchus states as he leans back in his wooden chair. A few murmurs of assent make their way around the table. “What does he expect of Goddess Kanoni?” When Dorus asks the question, there is a slight pause as each man sitting around the table venerate Goddess Kanoni in his own way. Dosus closes his eyes before responding. “He needs to bathe.” Nods ripple around the table. It is insanity that the brethren fear. With the world on the brink of war, they hope Goddess Kanoni would remain neutral, but the visions that Brother Octavius reported in the early days of his voluntary exile, were telling of a world of endless war, fear, and so much death. And to think a member of their small order would be instrumental in the chaos to come was unthinkable. The notion that Marquis Oya could corrupt the young Rashid reveals a flaw in the selection process. If all they knew couldn’t prevent someone as pure of heart as Rashid from falling, was there hope for any of them? Certainly, Bacchus thought as he stares at water a vitreous cerulean. In the craggy arid region they lived, the wide river was the only source of drinking water, swift transportation, and irrigation. He turns and examines the cluster of brick buildings in a lazy crook of the river. Chimneys poke out from dark stone roofs. The proliferation of brick and stone thin as the distance to the water increases. On the horizon, only the dry mountainous lives they live in solitude lay. Most of the caves that litter the region are abandoned, just as this settlement was. But a secret cave containes the brethren’s only tangible evidence that the ancient Legend of Kanoni was true: a piece of her clockwork wings. Bacchus bids the settlement farewell, and starts the long trek back to his friend and his home. This entry was posted on Thursday, July 16th, 2015 at 12:52	and tagged with Victorious Maiden 2, Word-a-Week and posted in fiction. You can follow any responses to this entry through the RSS 2.0 feed. When speaking of a character’s madness, I don’t often see talk of their personal hygiene. Nice touch! Lol, well hygiene is important! It really is. Nothing so horrifying as someone breathing their rancid insides all over you. I think that Hell must be something like the returns line in a Walmart after Christmas.